Giulio Barbieri aquired a new reference in the US, in particularly in the Indiana state, which was particularly motivated to spread the concept of renewable energies used for sustainable mobility. 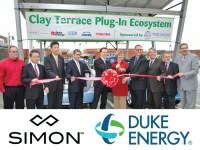 A double carport ENERGY PARKING was installed in Indianapolis. 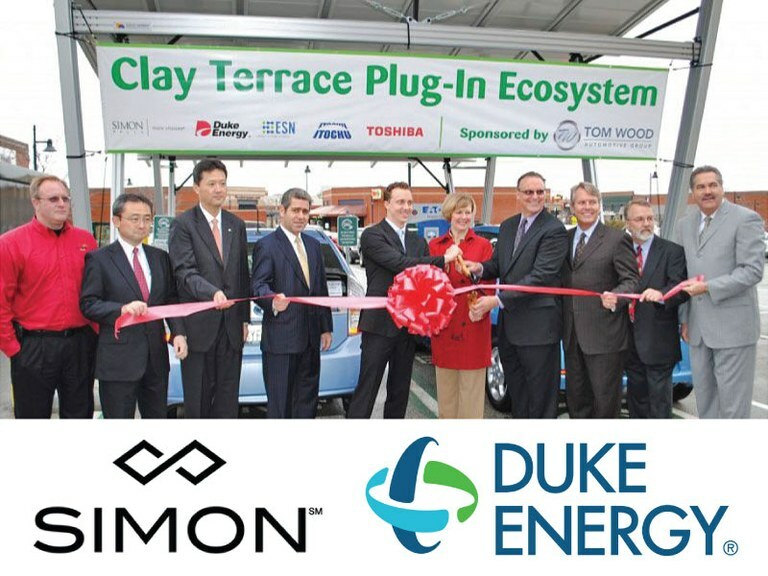 It's Simon Property Group, owned, leader worldwide in the design of shopping malls in co-operation with DUKE Energy, one of the most important electric providers in the US. The news was also reported in THE NEW YORK TIMES. 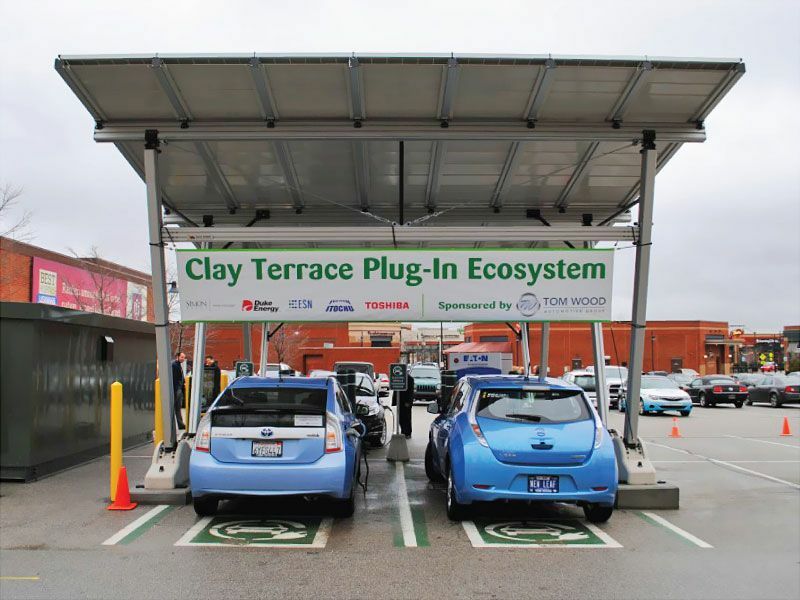 "CLAY TERRACE PLUG-IN" is the elegant EV charging station which was realized with Giulio Barbieri's carport structure. 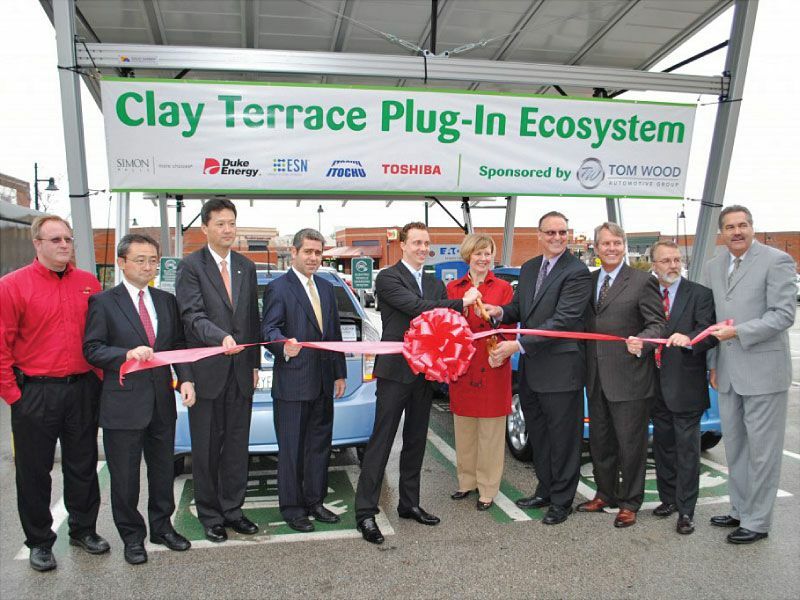 Here all the companies involved in the electronic field focused to the electromobility: Toshiba Corp., ITOCHU Corp. and Tom Wood Automotive Group.